Strawberries have just arrived at Commonsense Organics! To celebrate the onset of summer produce I threw these few ingredients together for lunch today and it turned out great. It just tastes like summer. And because all the ingredients are really juicy you don’t even need a dressing. I found it perfect just as is. Slice the strawberries, cucumber and fennel bulb with a mandoline. 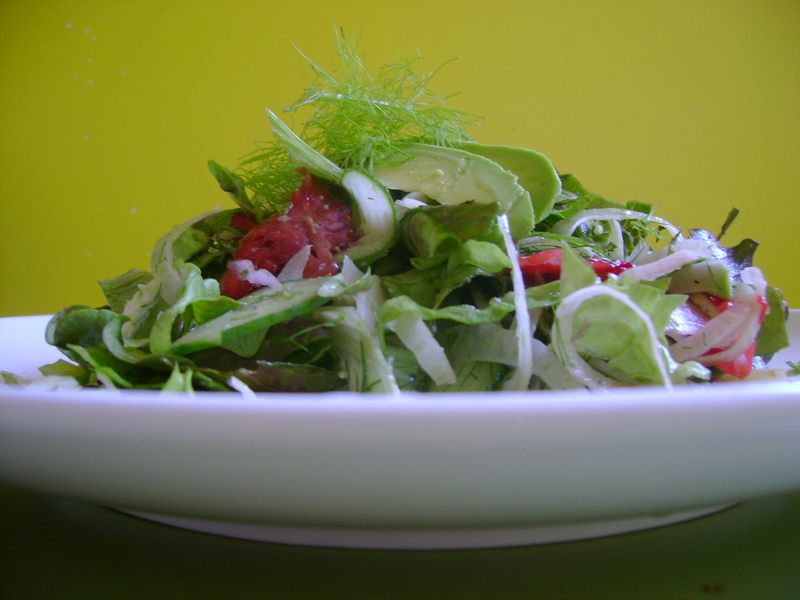 Finely chop the lettuce and the fennel fronds and dice the avocado into thin pieces. Combine everything in a bowl to serve. Easy. Strawberries are the one of the most popular berries in the world. 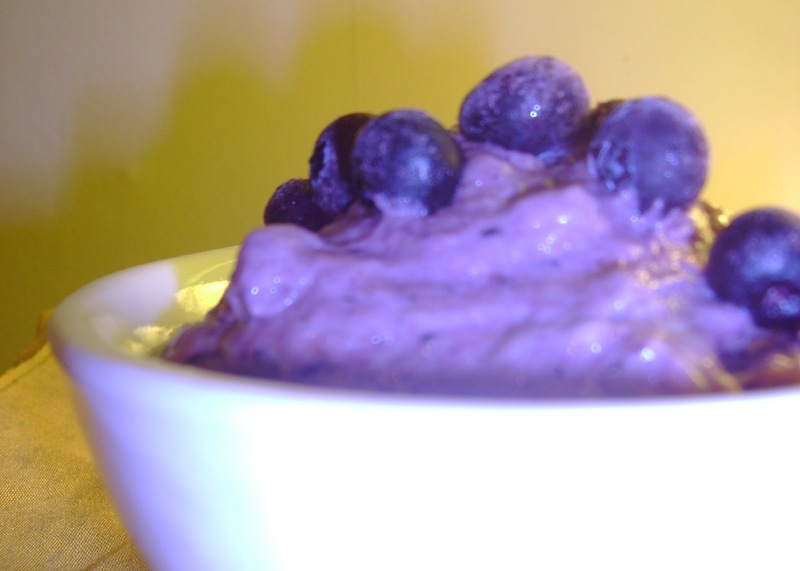 Not only do they taste and look great but they are also full of anti-oxidants. They are also heart-protective, anti-cancer fruit, and anti-inflammatory. Nutrient-wise, strawberries are an excellent source of vitamin C and manganese. They’re also pretty high in fibre and a good organic source of iodine. 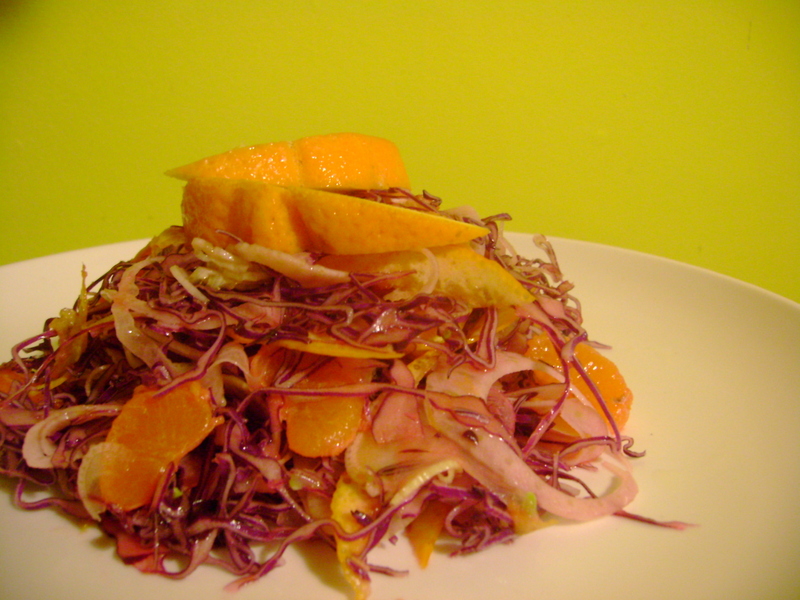 This is a fantastic winter salad with amazing colour and a good sweet/savory balance. It’s full of vitamin C to keep away colds in the chilly months. It’s good to use a mandoline to help you to slice things finely which brings out the flavour more. Always try to use organic ingredients where possible. Using a mandoline, shred the cabbage and fennel. If you don’t have a mandoline you could use a food processor or slice finely with a knife. Halve the orange and slice a few pieces off with the mandoline to save as a garnish. Juice the rest of the orange and the lemon. Peel the mandarins and break into segments. Combine all ingredients in a bowl to serve. Optional Extra: This is also great with some chunks of avocado mushed into the salad. It combines nicely with the juices. A lot of raw vegans find it difficult to keep warm in the colder months. This soup uses a lot of warming spices to heat you up from the depths of your belly. I made it in the middle of a hailstorm, parked myself by the heater and got toastie. 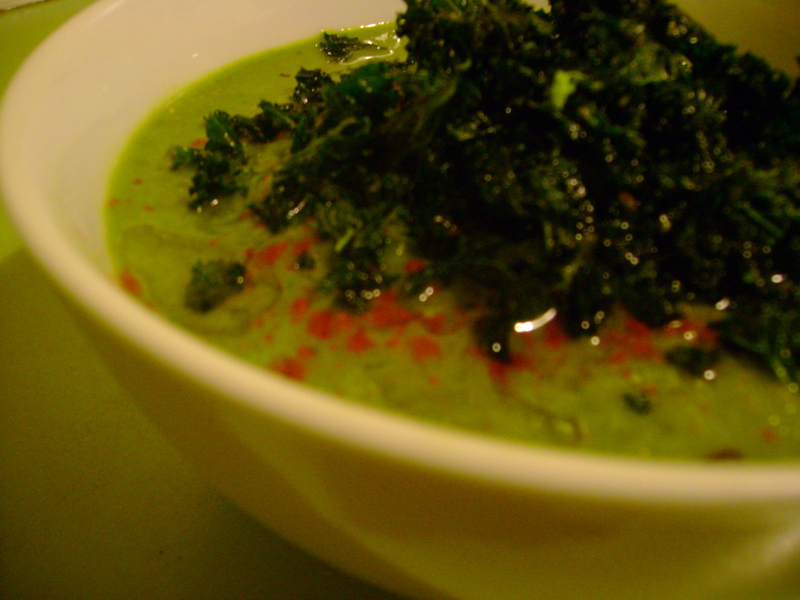 Blend the water, spinach, broccoli and leeks in a blender until smooth. Add the remaining ingredients and blend again until smooth. You can adjust the spices to taste. This can be served chilled in the summer or in winter it’s nice to warm it up a little. You can warm it either in the dehydrator for about an hour, or it can be warmed on the stove. If you are warming it on the stove, to preserve the enzymes, keep it on the lowest heat, stir constantly and make sure it doesn’t go over body temperature by dipping your finger in. It should be just warm, not steaming hot. 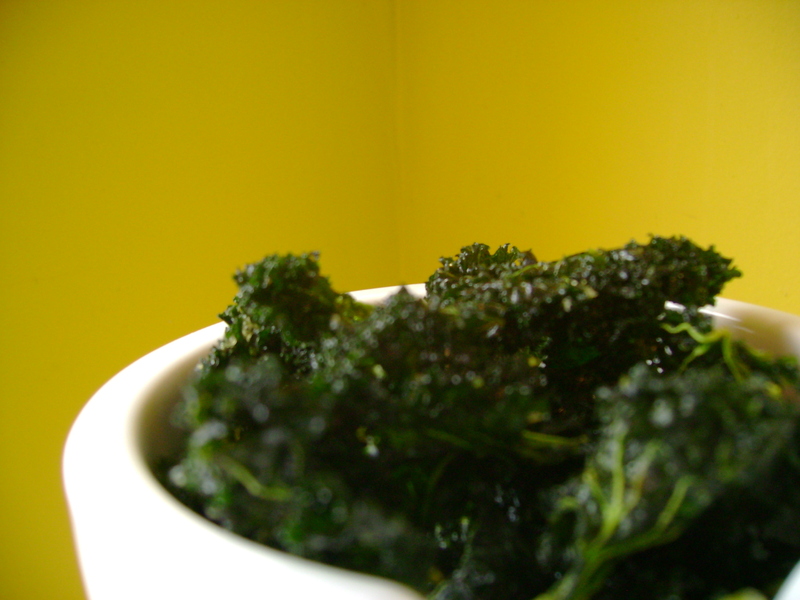 Sprinkle with cayenne pepper, flaxseed oil and top with some crunchy kale chips.